The commission, which was set up to inquire into the Godhra train fire of February 27, 2002 and “subsequent incidents of violence”, was appointed on March 6, 2002. It submitted its report on November 14, 2014 after several extensions. The ex-DGP said, “During the protracted communal clashes in the State in 2002 (February 27, 2002 to May 31, 2002) most gruesome mass killings and destruction of property” took place, including of “historic religio-cultural monuments of the 15th century Christian Era (CE)” in Ahmedabad, Vadodara, Anand, Godhra, Sabarkantha, Kheda, Mehsana, Banaskantha, and Dahod districts. 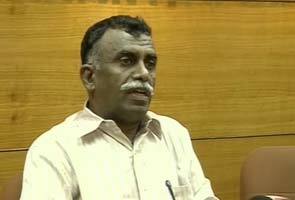 “The public, riot victim-survivors, human rights activists, state government functionaries in criminal justice system, sociologists, criminologists, jurists and so on would be naturally anxious and keen to comprehensively study the commission’s wisdom in this aspect and related matters of riots”, Sreekumar said. Pointing out that reports of Reddy and Dave commission reports on 1969 and 1985 riots, respectively, “were published within the prescribed time frame along with action taken reports by the then state governments”, Sreekumar said.